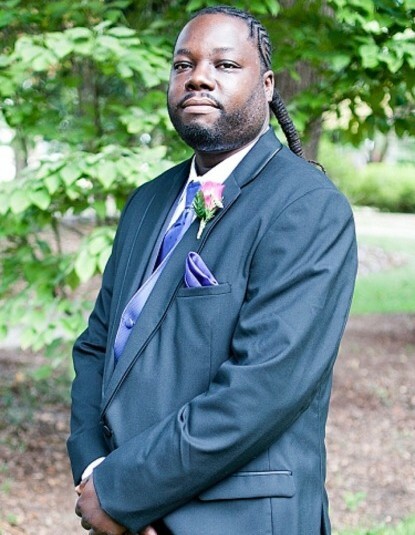 Renardo Jamaa Davis was born September 8, 1980, in Byerly Hospital in Hartsville, SC. He was the loving son of Mr. Herman Chandler and Ms. Josephine Davis. Renardo was affectionately called “Bear”, “Black”, or “Nardo”. He grew up in the Greenhill Community. He was surrounded by his grandparents, aunts, uncles, cousins, and siblings. He was educated in the Darlington County Public Schools. He received his GED. At an early age, he accepted Christ as his Savior and joined Greenhill Baptist Church where he served. He ushered and was a choir member in his youth. His lawn care business helped many increase the value of their homes and businesses. Those surviving to cherish his memory are his caring and loving mother, Josephine Davis, his father, Herman Chandler, his children, Renardo Jamaa Davis, Jr. and Na’vaeh Harmoni Benjamin; his siblings Charles L. Manigault, Monica Chandler, Shannon Ferguson, and Lorna Ann Davis (deceased); Step-father, Gusta Manigault; uncles, Samuel L. Davis and L. C. Crandford; aunts, Arena Davis, Edna D. Boyd, and Shirley D. Davis; brother-in-law, Allen Flemming, Sr. and special friends, Tammy A. McLeod, Brandon Boyd, Ronnie Cotton and Charles Davis; a host of cousins, and other close relatives and friends.